High printing speed and automatic duplex function make this printer especially convenient for those who often print a large amount of documents and photos. You will need to download the utilities for iOs sierra. This MFP can provide you with crisp documents and photos, fast scanning, and quality copying. It works with most paper formats and easily synchronizes with all smartphones and tablets for printing on-the-go. The fantastic resolution of this multifunctional unit allows you to print high-quality, detailed, and crisp photos or coloured documents. The LCD screen isn't touch-capable. 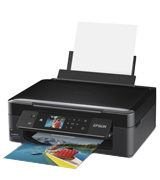 The Epson XP-442 is a fairly compact printer with a large colour display that is especially great for photo printing. The printer has a great printing resolution and supports lots of photo paper formats. 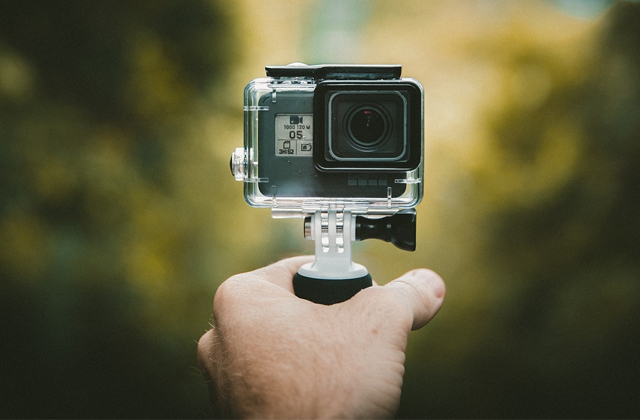 A good choice for amateur photographers. It comes with modern software (My Image Garden, Creative Park Premium and Image Display), which allows you to print Web pages, screenshots, and enhance photos before printing. The Canon PIXMA MG2550S is perfect for novice photographers. Although the printer is not so functional as its more expensive counterparts, it delivers premium print quality. 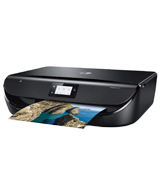 On purchasing this MFP, you'll get three trial months of HP instant ink program. With this program, you can save up to 70% of annual costs on original cartridges and never run out of inks. The tray capacity could be larger. 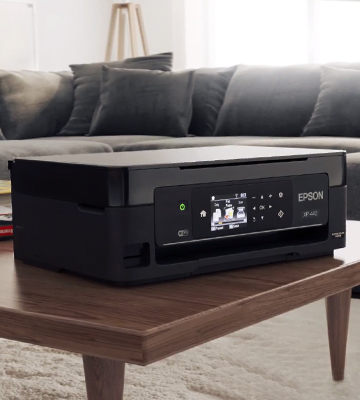 The Epson Expression Home XP-442 is a compact and very nice-looking all-in-one printer that will blend beautifully into any interior. 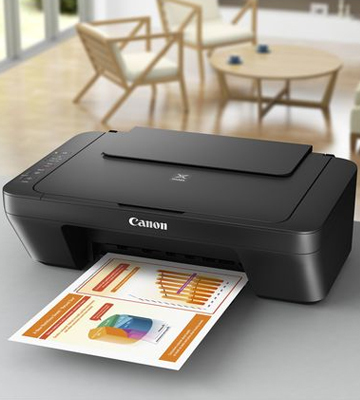 This budget-friendly appliance boasts decent print and scanning resolution. Ideal for small printing jobs! If you want to save some money on consumables, you can install XL-cartridges with increased capacity. These high-yield cartridges can reduce the printing cost up to 30%. It requires different apps for different operating systems. This easy-to-use MFP offers a bit more than basic models. It can print directly from your tablet and smartphone even without turning on the PC and installing drivers. 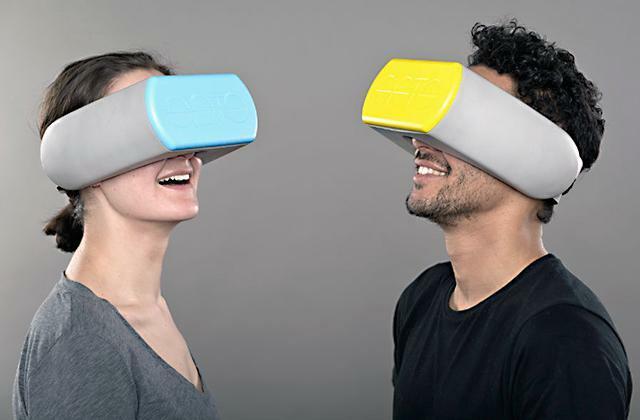 It supports different paper formats and is ready for work almost instantly. Everyone will definitely envy your sharp photos printed by the HP Envy 5530. The images produced by this printer will always get incredibly crisp and vivid. The Envy can provide you with 4800 x 1200 dpi pictures in full colour if used with specific HP photo paper. As for printing on plain paper, the device ensures 1200 dpi mono printing resolution. However, the printer is a bit slow - it produces black-and-white docs at 10 PPM and colour ones at 7 PPM. A pretty handy option is that the output tray extends automatically when the device starts printing. 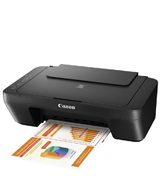 Being an all-in-one product, this printer can print, copy, scan, or fax any document or image. To make navigation as easy as possible, it’s equipped with a 5.5-cm mono touchscreen display. You can scan some documents directly to your business partner's email by using the intuitive touchscreen menu. If you connect the printer to the Internet using Wi-Fi option, you'll be able to print from different websites even without using your computer. 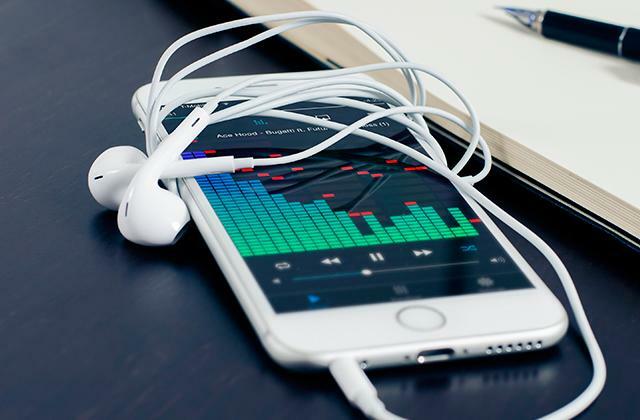 You just need to download the free HP Printer Remote mobile App that is compatible with Android, iOS, Symbian, Blackberry, Windows 8, Windows RT, and Mopria systems. Also, the HP 5530 supports Apple AirPrint for printing from iPhones. 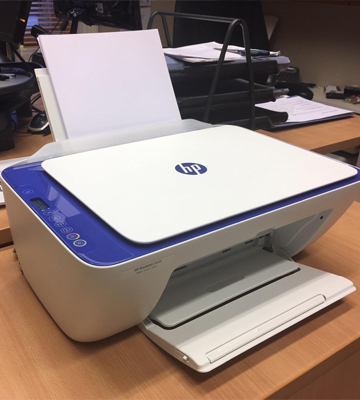 Although this HP all-in-one printer doesn't offer plenty of office-oriented features, it’s good for daily use or home cabinet. With increased versatility, it allows you to scan and print high-quality photos right from your mobile phone. Typically, running costs of inkjet printers are rather high, and the cartridges needed for the HP Envy 5530 aren’t very affordable as well. That's why the HP company offers you unique Instant Ink subscription program that can help you save up to 70% on cartridges. The program offers you three different subscription plans (£1.99 for 50 pages per month, £3.49 for 100 pages, and £7.99 for 300 pages). You’ll need to choose the preferable plan based on the number of pages you usually print per month. When your ink cartridge runs low, the printer will automatically re-order it and a new cartridge will be delivered right to your door. You'll have an opportunity to upgrade/downgrade your plan wherever you need. Also, you can opt out the chosen plan if you are planning a long trip, for example. 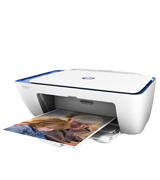 And the great news is that you can get 4-month free trial after purchasing this HP all-in-one printer. So, subscribe to Instant Ink program, save your money, and don’t worry about inks. Your HP Envy 5530 will always be ready to print. The Epson XP-442 is a fantastic smart inkjet MFP for its price. 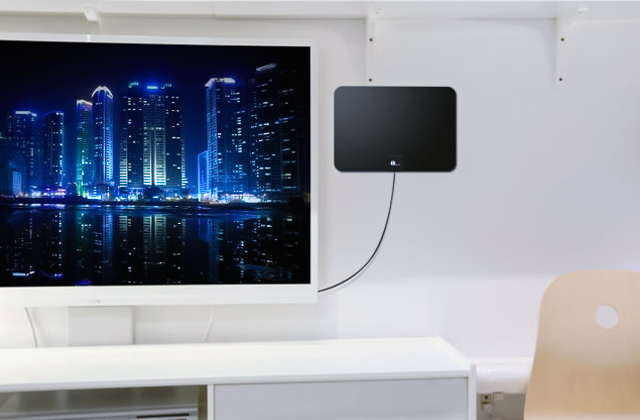 It offers a bit more than entry-level devices and is great for use in dorm rooms or home offices. The printer can be connected to your computer with a cable or wirelessly using a Wi-Fi technology. 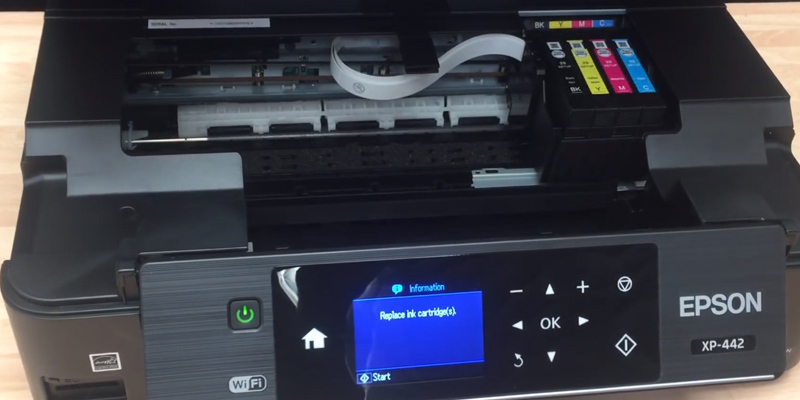 How to connect the Epson printer to Wi-Fi network? Easy! Using the built-in menu, you just need to find your network and type in the password. Like its more expensive counterparts, this printer quickly pairs with mobile devices for printing or scanning on-the-go. You can download Epson Email Print and send files directly to your printer. Moreover, if you install the Creative Print app on your gadget, you'll have an opportunity to print pictures directly from Facebook or create customized greeting cards for your close people. 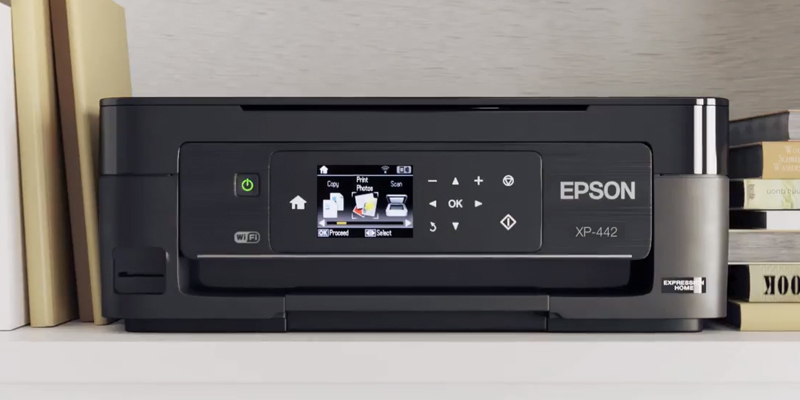 Also, the Epson XP-442 has a memory card slot for more flexible printing. You'll only need to insert your memory card into the slot for PC-free printing, copying, or scanning. You can set up the MFP for the needed task using its large 6.8-cm colour LCD screen. We would like to mention that the screen isn't touch-capable, however, it has a user-friendly interface and is very simple to use. Next to the screen, you’ll notice handy press buttons that offer good tactile feedback. 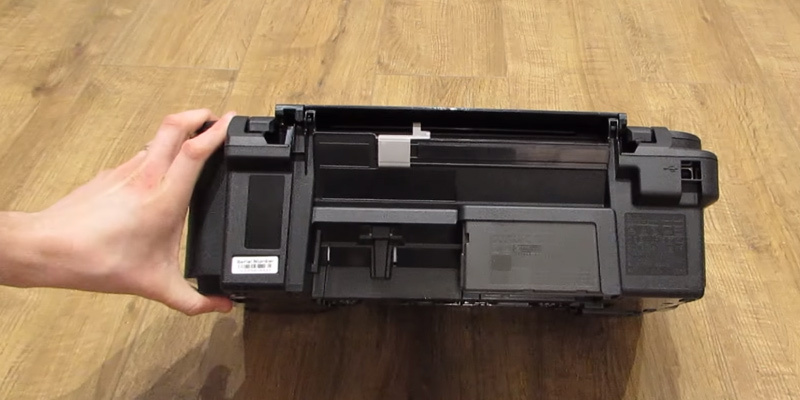 Beneath the LCD screen, there is a wide output tray that can be neatly folded back when the printer is not in use. The tray puts out 33 PPM for mono prints and 15 PPM for colour ones. For such a device, it’s a spectacular printing speed. Epson has always had a good name for photo prints and no wonder that the XP-442 ensures excellent print quality. Documents get reasonably dark and sharp, while colour images are crisp with pastel and bright hues looking very natural. Photos also boast accurate colours and a good level of sharpness. Scan quality is perfect as well. The printer uses four-colour Claria Home Inks, and if you want to save some money, you can get XL ink cartridges that can reduce running costs almost by half. So, if you often print or scan and need a sophisticated model for home use, the Epson Expression Home XP-442 is a sound choice. The Epson XP-442 MFP is a perfect choice if you’re limited in space. This compact appliance has a slim rectangular design and takes just 39 x 30 x 14.6 cm when folded up. 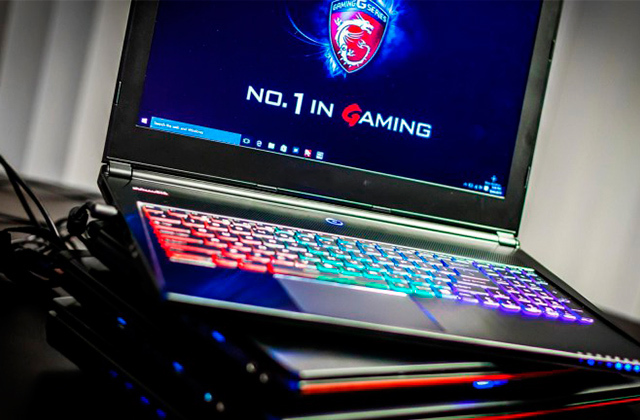 Being only 3.9 kgs, it's lighter than other MFPs of its class. The printer has a compact and sleek black body that won't take up much room and will blend beautifully into any office or living environment. 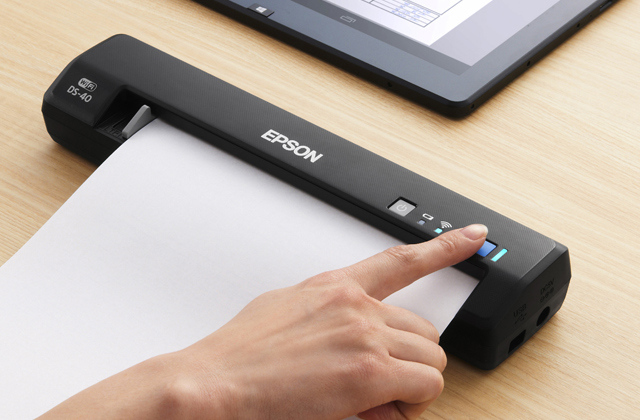 Anyway, if you need unobtrusive, portable, and an easy to use all-in-one unit, the Epson XP-442 can be the best bet. Without a doubt, it will be difficult to find a person who has never heard about Canon. Many will agree that in addition to the fantastic quality of photos and documents this company produces, Canon devices are pleasant to use. Take their bridge cameras, for example, and fantastic shots they make. And Canon inkjet printers are no exception. The Pixma MX495 is designed to print, fax (with up to 50 pages memory), scan, and copy. It allows producing both colourful and black/white documents on the A4 paper and bright images on the photo paper. The speed of printing is around average. Canon will print up to 9 ppm in mono and about 5 ppm in colour. If you decide to print a photo, you will need to wait for about a minute, though, its quality is worth waiting. This model is designed for standard and XL ink cartridges. It is up to you to decide which type to use, but if you choose the XL type, you will save up to 30% costs per page with no loss in print quality. Plus, they are very easy to replace and the replacement won't take you much time. 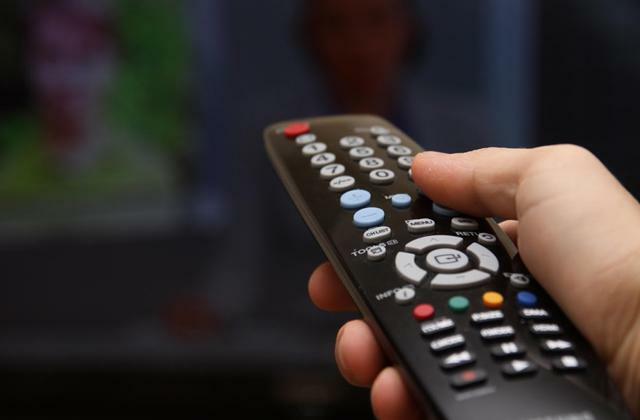 The full-dot LCD display might seem not wide enough for a convenient operation, but large letters and well-organised buttons make the situation better. The Canon Pixma MX495 is designed to work with both Wi-Fi and USB connection. 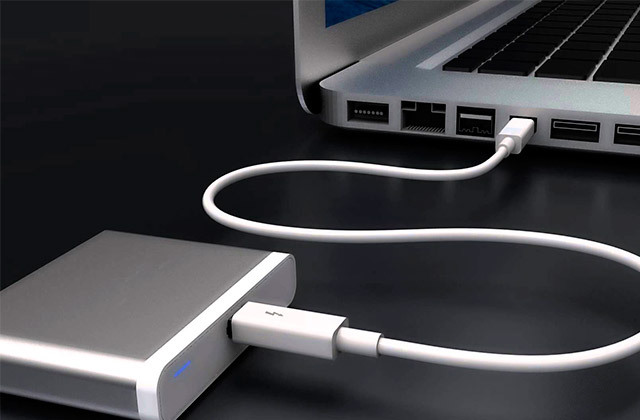 If you prefer the sure method of PC control only, this model offers you Hi-Speed USB jack. However, if you choose to print wirelessly, you will find a lot of useful options. With Apple AirPrint or Android device support, you can easily connect and print from or scan to your smartphone or tablet. And if you decide to download Canon PIXMA app, you won't need any drivers or PC connection to print from any smart device in your house. Using Google Cloud Print support is also an option. It's a very helpful solution to make printing faster. Yet, the best feature is the availability of connection to the PIXMA Cloud Link. It enables you to print photos and more from your Twitter, Facebook, and other networks, scan graphs, diagrams, and other data directly to Google Drive, OneDrive, or Dropbox, and then send them by email without using your PC. 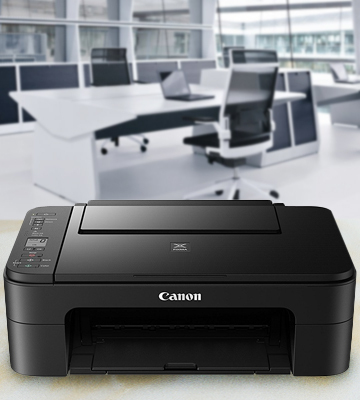 In other words, if you are looking for the most reliable and quality inkjet printer, we recommend you to look closer at the Canon Pixma MX49. After all, being made low-priced, this model features quite a lot of useful options and boasts printing of high quality. 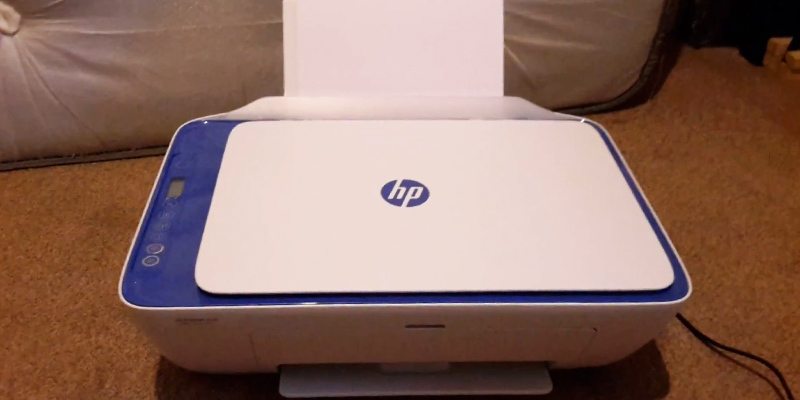 The HP Deskjet 2630 is another budget inkjet all-in-one device. 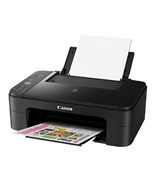 The printer already comes with a USB cable and 2 ink cartridges and is very easy to set up. Just plug in the printer and install ink cartridges. Then, plug in the USB cable into your computer so that it recognises the new device and download the needed software and drivers from HP. Once you download the software, the printer will be recognised by all other PCs or laptops in your network automatically. HP company has launched a useful HP App for Android or Apple mobile devices that gives you the freedom of printing or scanning from almost anywhere in the world. 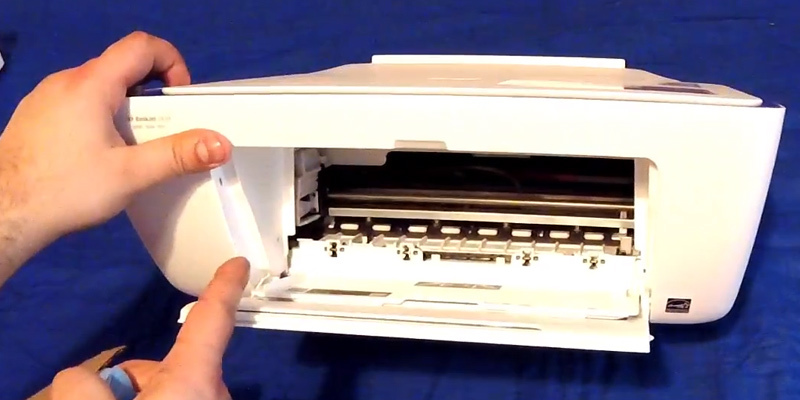 This little printer/scanner/copier has a nice-looking white plastic housing. For the price, the plastic is very quality. The printer is compact, so it won’t take too much space on your desk. It works quietly yet a bit slowly. The HP will print up to 7.5 PPM in mono and about 5.5 PPM in colour. 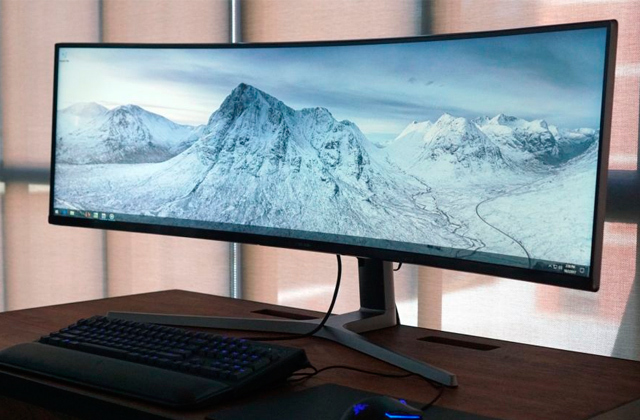 As for the resolution, it makes up to 1200 x 1200 rendered dpi in black and up to 4800 x 1200 optimised dpi in colour. So, the good print quality redeems the slow speed. The device can print up to 1,000 A4 pages per month, however, the recommended monthly page volume is somewhere between 50 and 100. 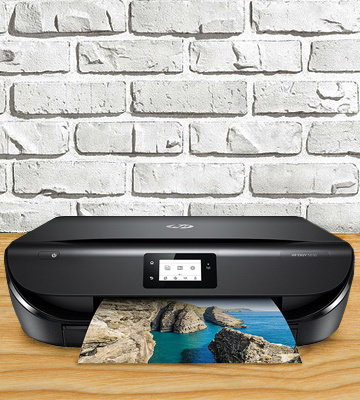 For home use, that’s quite ok.
Once you purchase this HP Deskjet printer, you can join the HP Instant Ink program and get 3 trial months for free. The great news is that these 3 months can easily become 5 months if you use the code "FREEINK". The HP Instant Ink can save you a lot of money, and you can be sure that you’ll always get genuine HP ink cartridges timely. This subscription program has 3 tiers (the lowest option is £1.99 for 50 pages per month, the middle one is £3.49 for 100 pages, and the largest plan offers 300 pages for £7.99). The trial period gives you the maximum of 300 pages per month. However, after trial months, you can reduce the number of pages to your preferences. The delivery of cartridges is fast and efficient. The HP company sends you a set of ink cartridges right after registration. Therefore, you’ll always have a spare set in your drawer and won’t suddenly run out of inks. This smart program can help you save up to 70% on consumables. If you have printed a bit more pages than your subscription plan includes, you’ll need to pay an additional charge for extra sheets (the price varies with the plan). The MG3150 has a glossy black housing which makes it a nice-looking machine for any environment. However, take a note that the printer is quite large (approximately 45 x 30 cm), and that's even without extended input and output paper trays. There is a simple paper tray at the back and an output tray at the front. When not in use, the 100-sheet rear tray can be flipped and act as a lid. The foldable output tray has a swivelling extension and a flip-up paper tab that stop printed pages from falling on the floor. At the top, you’ll find a small, mono LCD screen that shows status messages. For example, if you're using the photocopying feature, the screen displays the currently-selected number of copies. There’re lots of tool buttons near the screen. 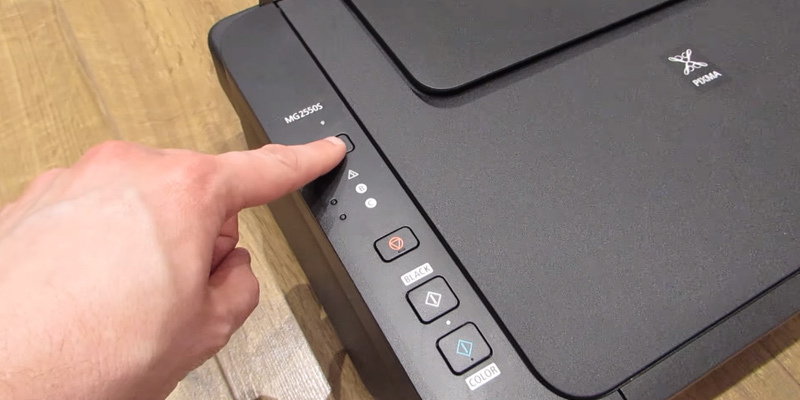 Besides dedicated buttons for copying and scanning, you’ll notice buttons allowing you to clean the cartridge head, turn on/off the wireless connection, print an alignment page, and other simple configuration procedures. We would like to note that all these functions are represented by single letters on the screen and you’ll need to cycle through the buttons to select the required function. So, it’s by far more easier to perform all the functions using the My Printer software on your computer. The installation is pretty straightforward. Plus, the package includes a step-by-step manual that guides you through the setup process. The Pixma TS3150 inkjet multifunction peripheral supports wireless technology, thus, you can connect it up to your PCs, smart devices, Wi-Fi cameras and print without USB connection. Moreover, the Easy-PhotoPrint app enables you to print from any Android device or iPhone even without a need to install drivers. Overall, the MG2150 boasts such features as a duplex printing, wireless support and mobile printing. This is a great MFP for people who don’t print many documents that often, since the weakest point of this device is its print speed. The peak speed for black text makes 7.7 PPM and 4 PPM for colour graphics. And the printer needs 65 seconds to produce a colour photo. Yet, all prints, scans, and photocopies are excellent with crisp text and bold colours. However, the best part is that it can produce borderless photos up to 5" x 7". Like a lot of other inkjet printers, the Canon PIXMA TS3150 uses two cartridges - a black ink cartridge and a dye-based combined colour cartridge. Both cartridges are available in standard and XL options. Using the high-yield consumables can reduce the printing costs up to 30%. 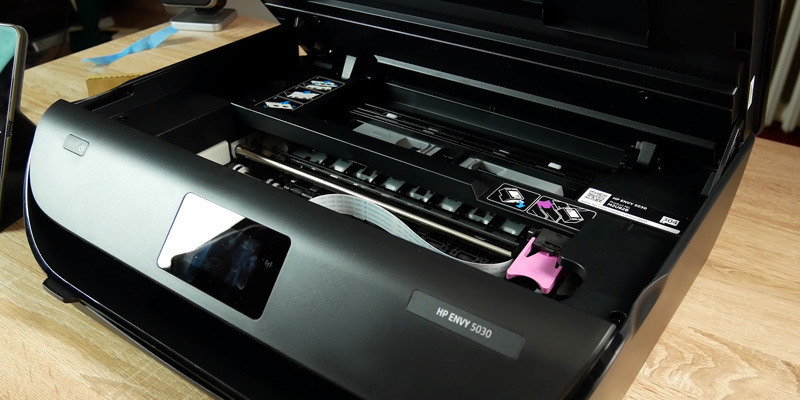 What Is an All-In-One Printer? An all-in-one printer is an indispensable device that combines multiple features in a single unit. It can be a printer, a scanner, a fax, and a copier altogether. This distinctive feature makes an all-in-one printer second-to-none when dealing with a range of simultaneous tasks. Due to the wide variety of options for processing digital documents, as well as digitizing printed sources, this product is easily a must-have assistant for your office or home. Such printers take up less space than all listed devices, and you don't have to buy supplies for each separately. An all-in-one printer combines all essentials for working with paper and electronic documents, offering users maximum efficiency during the whole process. If you do not use a fax or a scanner and you are more interested in printing documents in small quantities, we highly recommend you to consider one of the home printers models. The first important feature that we need to point out is the performance. It covers both the print method and the print speed of the device. Accordingly, all printers can be divided into ink-jet and laser models. For those who plan to print a small number of documents, it is worth considering ink-jet models which are known for their average productivity and relatively low cost (including consumables). On using these printers, you'll get high-quality print images and vivid documents without spending a great deal of money. Those who plan to use a printer for business purposes should consider laser models since they can cope with large batches with no effort at all and are easy-to-maintain. Also, you need to keep in mind that printing speed is what determines the overall performance of the unit. The common average print speed gets up to 20 pages per minute (ppm), however, there are high-performing models where the speed may get up to 30 ppm. Consider the print/scan resolution as well since these are the parameters that specify the unit performance in more details; the higher this number is, the better the scan/print quality will be. The second most important feature you need to pay attention to is the material that printer can handle. It is important to learn what paper sizes can be processed; the supported sizes clearly illustrate the chosen printer's versatility. Not only present-day models work with a standard A4 paper size but also can print on the A5, A6-sized paper, and envelopes of different sizes. Printers with such functions can be used for making colorful greeting cards on any occasions and events. 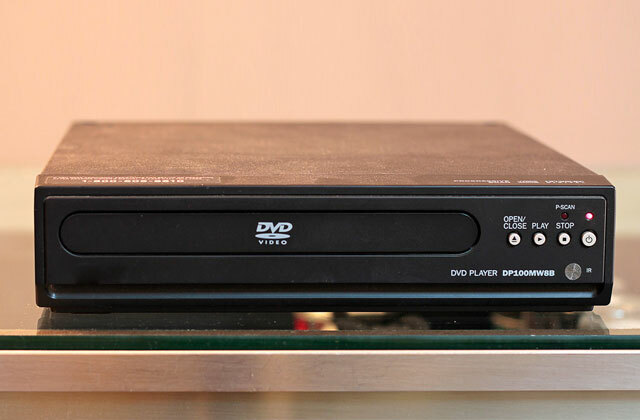 All-in-one printers do an excellent job at photo printing, today they can even print out on CDs/DVDs. Since many of these models are acquired for office use, it is worth noting the capacity of a paper tray. Most models come with trays that can accommodate 250 sheets, which is an average figure, but there are models with several trays. Speaking of interface connection, most modern all-in-one printers allow for wireless connection through Wi-Fi and support USB and Ethernet. In order to make prints directly from your gadgets (such as iPhone, iPad or any Android smartphone), all-in-one printers support technologies like AirPrint or Mopria Print Service. Aside from printing from mobile devices, some models can print out right from cloud services (e.g. Google Cloud Print) and scan to e-mails. And the last but not the least feature to consider is the convenience of the printer. It is better to choose a model with a wide display where you can view all current information and the operating mode. Having picked a model that can perform duplex print, you will get a device that can perform two-sided printing with no manual effort. There are also models which use a duplex feature not only for printing but also for sending faxes, scanning documents, and even copying. It is necessary to consider a model with an ADF (Automatic Document Feeder) but, as a rule, all present-day all-in-one printers have got one. A photocopier is a simple device that makes copies of photos and documents without computer connection (however, it can be networked), while a printer requires information sent from a computer, smartphone, tablet, etc. A multifunctional device combines a printer and a photocopier. It can also scan, email and fax. 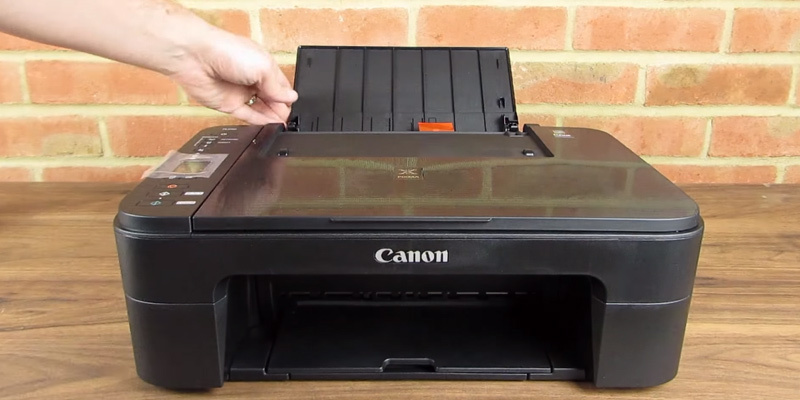 How do inkjet printers work? What are they best for? Inkjet printers are more affordable and compact than laser models. They are perfect for small businesses that don’t need large volumes of printing, However, they require high-quality colour documents or photos. They typically use two liquid ink cartridges with black, cyan, magenta and yellow inks. These colours are sprayed in different combinations to produce any colour you need. The ink is well-absorbed into the paper, thus inkjet printers create long-lasting images and documents. The only disadvantage of inkjet models is that they need the frequent change of ink cartridges which are usually rather costly. Yet, many companies offer more economical XL cartridges or special subscription programs that can help you save some money on consumables. A laser printer produces text and graphics with a laser beam. The beam repeatedly passes a negatively-charged coated metal cylinder (or drum) creating a static charge. When the cylinder rolls around, it collects electrically charged toner particles and transfers the image to paper. 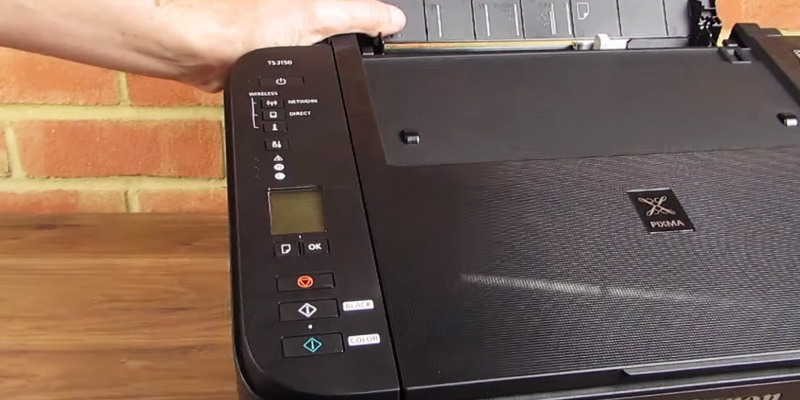 What are the benefits of multifunctional printers? The main benefit of any all-in-one printer is that you can save space and money. Many small home offices just don’t have enough room for separate dedicated devices for printing, copying, scanning, and faxing. All-in-one printer combines all these important office features in one compact box. Using less space, it will help you declutter your office and keep it more organized. The majority of all-in-one printers are wireless, which means that you or people in your office can use the printer without the need to be physically connected to it. A multifunctional unit is also easier to maintain, as you won’t need to download/update different drivers and purchase consumables for different machines. An MFP also consumes much less power than three or four devices. Less space, lower running costs, and fewer maintenance hassles! The world’s first printing machine! The prototype of a printer was a printing press. It was a device that applied pressure to an inked surface resting upon paper, thus, transferring the ink. Johannes Gutenberg, the German goldsmith, created the first printing press around 1439. This revolutionary device launched the mass production of books in Europe. However, actually, the history of printing began in China nearly 600 years before the Gutenberg’s invention. Chinese monks invented block printing. Q: How to connect a printer to Wi-Fi if I use Windows computer? A: Many people wonder how to connect wireless printer to a computer, however, it's actually even easier than setting up a USB connection. You just need to connect the printer to your network. If you use Windows computer, first open the Control Panel and choose "Devices and Printers". Then click "Add a printer" button and select your printer. The Windows OS will automatically install the needed drivers for your printer. Q: How to add a printer to a Mac computer? A: If you have a Mac computer, you should first check if your printer is Mac-compatible. If everything is OK, you can add it by selecting "System Preferences" in the Apple menu. Then choose the "Print & Scan" button and click the "+". Choose your new printer and follow all the directions to install necessary drivers. Q: Can my confidential documents be reliably protected when printed, copied, or scanned on an MFP? A: It depends mainly on the security of your network and linked devices. If you need extra protection, look for MFPs that allow password protection. Q: What file format should I use when sending an electronic document for printing? A: It’s better to choose PDF (Portable Document Format), as it’s the most suitable format for submitting digital documents. Almost any program on PC can generate a PDF file for printing. In addition, you can easily download free PDF print drivers from different sources. Q: Why do coloured documents or photos look different from those on my screen? A: Actually, printers and monitors produce colours in completely different ways. While computer screens use the RGB (red, green, blue) colour scheme that supports a wider spectrum of colours, printers use the CMYK (cyan, magenta, yellow, black) colour scheme. The CMYK colour model can’t reproduce all the colours of the RGB colour model - it usually matches about 90% of the colours in the RGB scheme. If the required colour is out of the range of the CMYK scheme, the program or application chooses the closest matching colour. Yet, some programs like Adobe Photoshop and other professional photo editors allow you to choose which colour will be replaced. Q: How to maintain my MFP? How to clean printer heads? 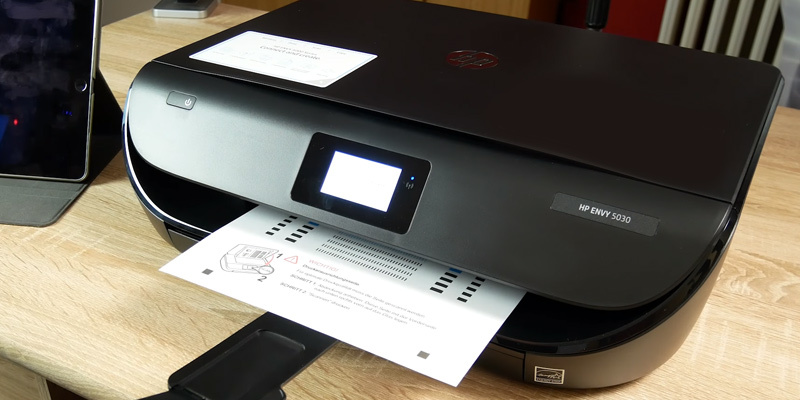 A: If you want to avoid paper jams, smudges, printing errors and prolong the lifespan of your all-in-one printer, you should clean the printer heads timely. Once you see lines running across the printed text or graphics, this means that the printer heads are clogged and require cleaning. Before opening the printer for cleaning, first turn it off. Then, look in the instructions to find out how to clean the heads on your printer. However, we don’t recommend you to clean the heads too frequently, as the cleaning will require some amount of ink. By the way, most high-end printers have a self-clean function. Dust and other debris inside your printer may cause jams or ink streaks on prints, so you’ll also need to remove the build-up from time to time. The quickest and the safest way is to use a small vacuum. It effectively removes dust rather than spraying it inside of the printer. 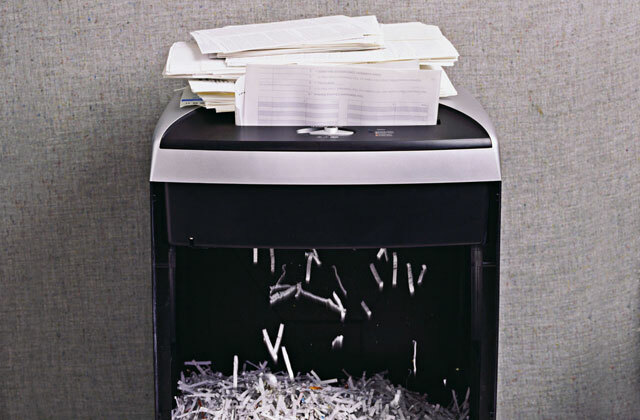 If a paper jam occurs, refer to the manual that comes with your printer or visit a website to find the best way to fix this problem. Most likely you’ll need to use your both hands to slowly pull the jammed paper out. 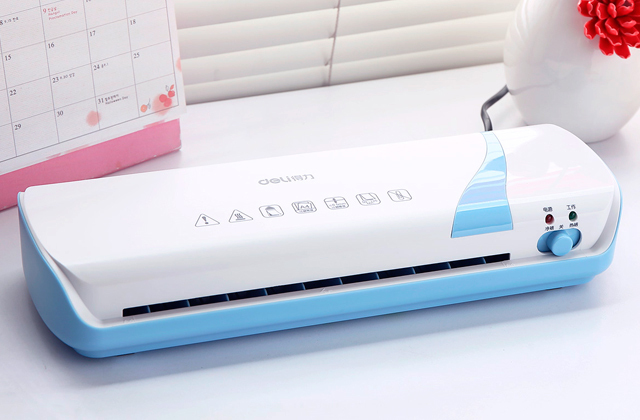 To clean the scanner glass of your MFP, you need to wipe off the dust from the glass using a microfiber cloth and then clean it with a dry cloth. Also, you can add a special glass cleaner if there are some stains on the scanner glass. However, avoid cleaning agents that contain acetone, ammonia, benzene, or carbon tetrachloride, as they might damage the surface. Q: Can I use non-genuine inks for my all-in-one printer? A: The market offers tons of cheaper alternatives to genuine cartridges. But if you use one of them, the manufacturer of your printer will not be responsible for product failure and won’t cover the repair. 1. Ted Needleman HOME PRINTER BUYING GUIDE: HOW TO CHOOSE THE BEST PRINTER, Digital Trends. May 19, 2014. 2. How to Choose an All in one Printer for a Home Office, wikiHow. 3. 15 Features to Look For in an All-in-One Printer, eBay. March 3, 2016. 4. All-in-One Printer Buying Guide, Techlicious. September 5, 2012. 5. Multifunction Printer Reviews, Ratings, and Pricing, Computer Shopper.